Do you like to play Texas Hold ’em? If so why not join a fun evening playing poker and do so knowing you are helping the Kiwanis Club of Gig Harbor in their efforts to give back to our community. Click here to learn about all the great things this organization does. Cash prizes for the top 7 players. You pay at the door the night of the event. Yes, you should know how to play poker (Texas Hold ’em). BUT, you do not need to be a real card-shark to play at this event. A cheat sheet is at your side and play is friendly. The tournament starts with 8-10 tables. It is a timed event where the minimum bet increases and tables are eliminated until it gets down to the final table. As the tables close you can stay- hang out and root on the winners or simply leave. Food: yes! There will be food- The neighboring restaurant (Puerto Vallarta) will host a taco bar and a no-host alcohol bar is available. There will be drinks served right to the poker tables! If you do not play in the game and want to come with your friend or partner you are still welcome to come watch, eat and drink for a nominal fee. There also will be an on-going raffle. Keep in mind- this is a fundraiser to support all the great projects of the Kiwanis Club of Gig Harbor. Come by to say thanks for all that they do and make a donation. You may also consider joining the club. 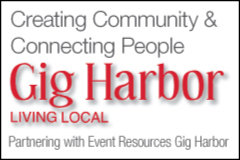 Click here to learn more about what your Kiwanis Club of Gig Harbor does and how to join.